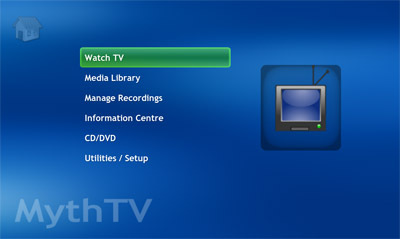 MythTV, as previously mentioned, is an open-source project that provides a client/server based media centre solution. One of the parts I like most about it is the ability to have multiple ‘recorder’ backends anywhere on the network, and all recordings are combined into one listing. 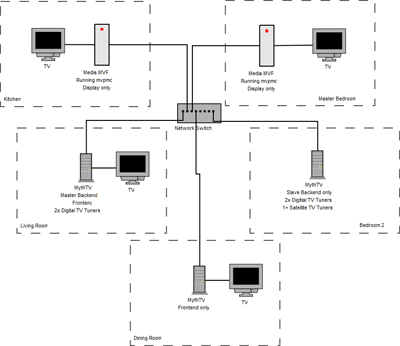 You can also watch live TV through any of the backends on the network. 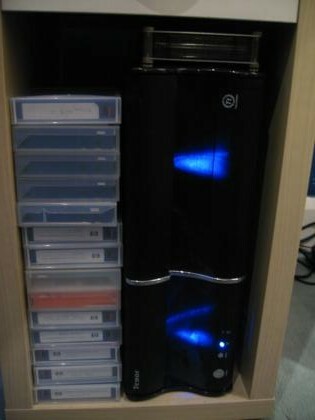 You can also listen to music, watch videos in pretty much any format, play DVDs, watch/listen to internet streams etc. 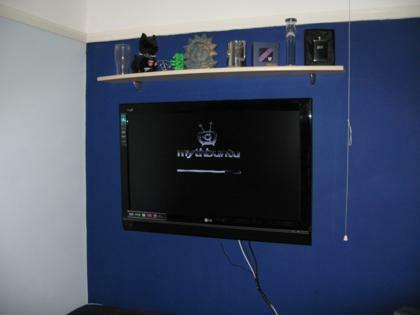 Currently the master backend is set up in the living room, connected to the TV via a VGA cable, and the slave backend is set up in the cabinet in my bedroom. 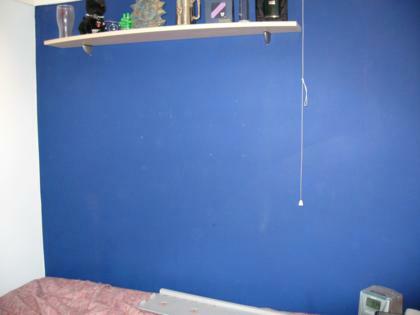 Until the new tuner card I’ve ordered arrives, the only tuners sit in the computer in my room. 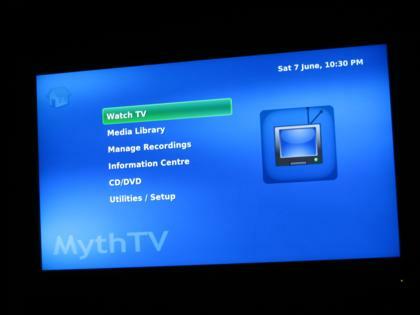 However the client/server basis for MythTV means that the computer in the living room can connect to the card in my room and use it for watching live TV or recording from. I also have a single Hauppauge Media MVP. 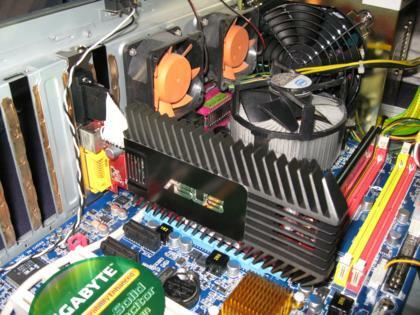 This lovely bit of kit is a thin-client that is intended to be used with it’s own Windows-based software. However, the mvpmc project provides a way to get a far better client onto the little box which can connect to a MythTV backend. 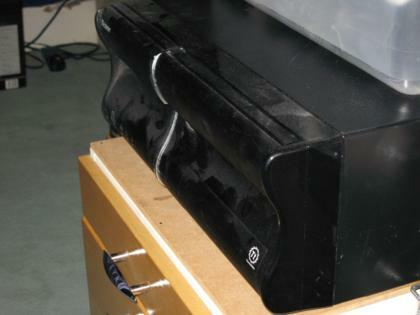 So not only can MythTV be enjoyed via a standard computer, but also a small set-top-box. The main advantages of using a Media MVP box are that it is silent, so suitable for quiet rooms, and it consumes very little power. Eventually there will be at least one more Media MVP and another PC-based front-end in the kitchen and dining room respectively.